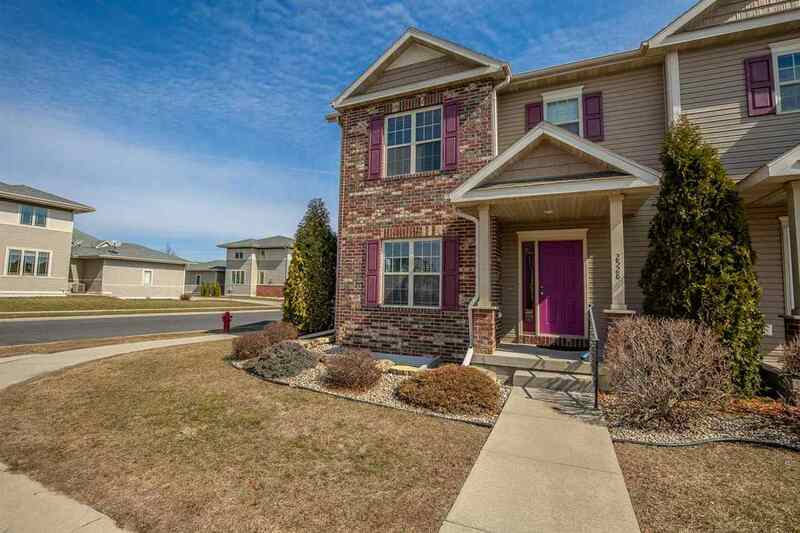 Bright end unit townhouse offers lots of natural light & is located in sought after Smith's Crossing. With over 2, 350 sq. ft. of updated living space you will be able to move right in and enjoy. Kitchen features maple floors, new whirlpool appliances, breakfast bar and is open to the large dinette that leads to your private patio. The LR offers corner gas fireplace & upstairs you will find 3 bedrooms including large master suite w/full bath & walk in closet. The lower level boasts huge rec room, separate theater room inc all equipment and new furnace & C/A. A must see! Directions: O'keeffe Ave To Leopold Way. End Unit On Corner Of Leopold Way & Smithfield.